We all know brain plays a major role in learning, but few are aware of how. In a class where each child differs in his ability to learn, it is essential that educators know how the brain is related to the process of learning, in order to help facilitate student performance. Such knowledge will also give the educator an advantage when faced with the challenge of teaching a child with special needs. Cognitive Skills is a two part integrated course that will equip educators with extensive knowledge about the process of learning. and to overcome their challenges. It also provides tips on how to make learning fun, challenging and different. The second section, Accommodating All Learners, will help you understand more about various learning styles, and how these impact the way a student learns. You will gain knowledge about specific teaching approaches that can be used to reach and teach each learning style. 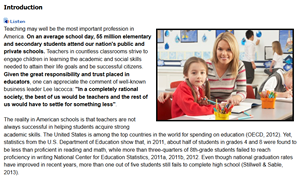 Schools and educators all over the country are engaged in implementing the Common Core State Standards. This can be a challenge. This three part course is designed to provide teachers the support and confidence they need to implement the standards in their classrooms. The first section focuses on practices teachers can use to promote student motivation and self-learning while decreasing and eliminating behavior issues. The resources, tools, and real-life examples included in this section help teachers strive to develop self-reliant students who take responsibility for their own learning. The next section addresses helping teachers assess basic academic skills and identify areas in which students need support. This section contains tips, templates, and strategies that help teachers periodically collect data to assess if students are meeting the set academic goals. In the final section, teachers learn to develop a process of reflective thinking and becoming sensitive and responsive to the needs and issues of students. The practical examples and techniques explained in this section provide an understanding of the phrase ‘learning while teaching.’ This section also includes an additional resource that helps teachers write a reflective statement by giving you step-by-step guidelines to combine all your professional development activities. Teachers completing this course become better education professionals and in turn are also able to implement the Common Core requirements. The implementation of Common Core State Standards across the curriculum provides a real-world approach to learning and teaching. It is increasingly essential for educators to develop students who not only are critical thinkers but innovators as well. This course helps teachers to build up such students. The first section brings together four major disciplines: Science, Technology, Engineering, and Mathematics into one cohesive system. This section includes the benefits and opportunities associated with this new education paradigm and guides teachers to customize classroom instruction so that students develop the skills they need to survive in today’s knowledge-based world. The course then focuses on the Common Core Standards for Mathematics and how educators can apply those mathematical principles to everyday life. This section contains ideas, tools, and activities that teachers can use to make math interesting and fun for their students. Finally, the course helps teachers evaluate and monitor basic academic skills based on Common Core principles. This section contains step-by-step guidelines and examples on how teachers can use CBM tools to assess various academic areas such as letter knowledge and fluency, early math and computation fluency, and more. By completing this course teachers gain the needed confidence to implement common state standards across the curriculum. The goal of education is to help students be successful. However, there are big gaps between school,college and careers, and if these are not addressed, students may struggle to transition from one to another. To help students excel outside their classroom and in their future endeavors, teachers can empower students by building their skills. 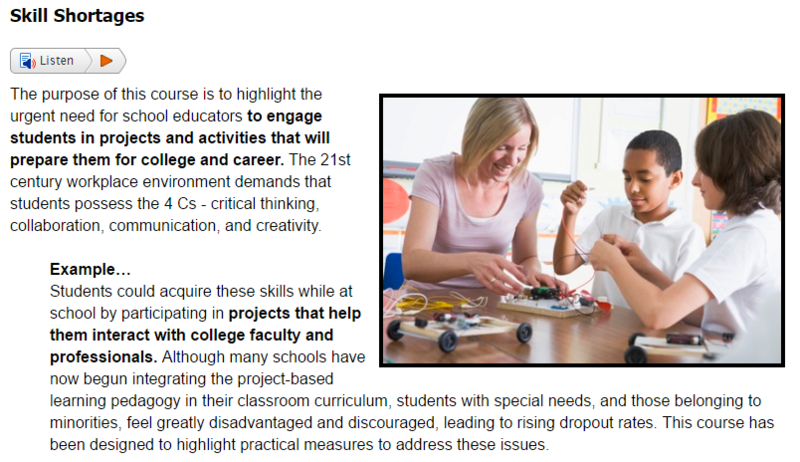 In SECTION A: Preparing College and Career Ready Students, teachers, in this online course, will be introduced to strategies, creative ideas and resources which can be used to enhance the students’ readiness for college. SECTION B: Project Management for Students through Project-based Learning focuses on the wide range of skills which are highly essential in today’s world including research, collaboration, communication, leadership, problem solving and cooperation. Teachers learn how to incorporate project-based-learning in the classroom. Having a portfolio to display one’s skills and progress, helps students present their best as they apply for colleges. It can also be a record of student learning, or a tool for assessment. 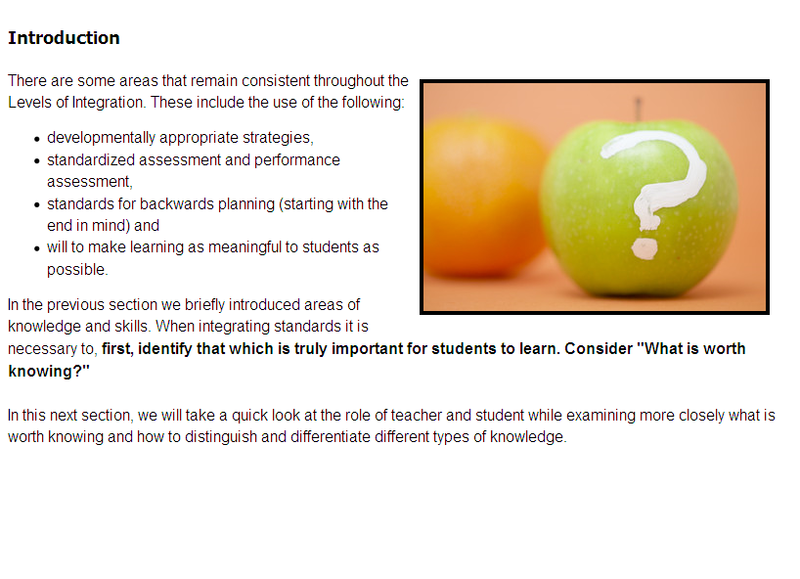 In SECTION C: Student Portfolios teachers see the process of developing effective and impactful student portfolios. Upon completion of this course, teachers will be able to integrate current educational practices in technology into their own classrooms and curriculum. Diversity is becoming a very real issue in our classrooms today. We have an increasing number of students requiring various learning styles, coming from different cultural backgrounds, and demonstrating ever-maturing attitudes. Reaching Diverse Learners is a course package that is brimming with ideas and strategies to help you maximize your abilities and cater to the individual needs of every student. 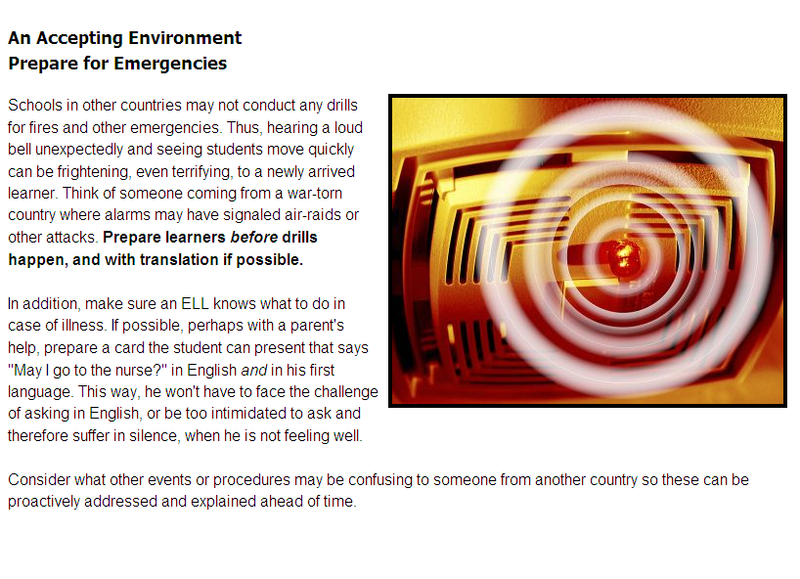 material to suit the learning needs of the ELL’s. The second section of the course, Positive Behavior Intervention Strategies suggests how expected behaviors within a classroom should be taught through consistent responses and positive reinforcement. It is full of practical ideas and techniques that will help you as a teacher learn to manage your classroom more effectively. The course provides teachers with concrete ideas and strategies to reach and teach every student in the diverse classroom. Reading should be a meaningful activity that is focused on comprehension and that results in understanding. When students struggle with a specific subject matter the underlying reason is nearly also identified as under developed reading skills. The strategies in this course are imperative for all educators to help their students become proficient readers. The Reading Across the Curriculum lesson helps teachers understand how to assess reading skills in the classroom and plan instruction accordingly. When every day teaching is carefully designed around this type of data it means that all students can learn and grow. In the Tackling Tough Text lesson, educators are equipped to empower their students with confidence when handling tough text. Strategies to break down, engage and interact with the text are all explained in detail. Reading is a complex cognitive process that develops cognitive skills. Educators learn about Cognitive Skills in the final lesson that explores and explains difficulties associated with learning to reading while introducing strategies for dealing with these issues and reducing the gap. In an age where there are multiple approaches to teaching and educating students, it becomes important to ensure that a particular standard is maintained. This class helps teachers achieve goals, while empowering you with skills and tools to deliver the best of quality education. Standards and Communications in Teaching is a three part integrated course that will highlight various strategies for facilitating student learning and improving academic achievement. Section A, Integrating Standards in Teaching, helps teachers understand more about standards-based education, while Section B, Formative Assessment, equips teachers with assessment tools that help maintain these standards. Together, they will help you explore challenges in incorporating standards; as well as provide strategies to help you overcome any obstacles. Section C, Partnering with Parents, helps you enhance your professional interaction and communication skills with parents as you will better understand why parents think the way that they do. You will also discover strategies that you can use in a number of common challenging situations teachers face while working with parents. Thus, you build lasting relationships with the parents of your students. This course is rich with practical ideas, strategies and exercises that will equip you with an extensive knowledge that contributes to improved student performance. The integration of technology in student learning has become an essential aspect of education in today’s classroom. The focus is no longer on learning to use technology, but to use technology in order to achieve existing learning goals. Technology impacts the way learning occurs and also defines new skills that today’s student needs to learn. This course, Technology for Student Learning, equips teachers to confidently embrace technology to support teaching and learning. Section A, iPads in the Classroom, demonstrates the multiple ways iPads and tablets can be used in your classroom in order foster the development of 21st century skills right from kindergarten to high school. Section B, Apps for Education, enables educators to identify apps that promote imagination, experimentation, innovation and collaboration in the classrooms. This course helps teachers review and reflect on the different pros and cons of any app that they wish to introduce and helps them choose apps that are safe and complement learning objectives. 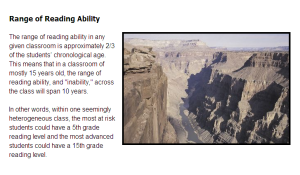 Section C, Flipping Classrooms, introduces the concept of flipping classroom instruction such that delivery of content occurs outside the classroom. This enables precious teacher-student time to be used for digging deeper into content and making real connections. 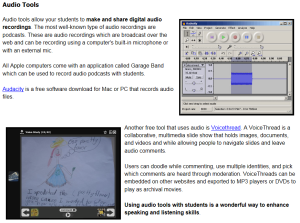 This section also helps teachers learn the basics of creating their own flipped classroom videos. Gone are the days when the word classroom brought to our minds an image of a dusty blackboard, chalk or the dim light from an overhead projector machine. Instead we think of smart boards, computers and other technology. Libraries and books as reference material are supplemented by the internet, blogs and Google which are available at our (and our students!) fingertips. This two part integrated course, Technology Today, helps to bridge the gap, enabling safe implementation of technology in classrooms and preventing misuse by either students or adults while promoting effective learning. SECTION A enhances professional development by presenting tools, techniques and resources to advance skills in using technology. Introduction to Technology for Teachers highlights the advantages of using technology as both a resource and a tool for educators in their classrooms. Technology can promote effective learning only when used in the right manner. SECTION B, Technology in the 21st century Classroom, imparts valuable information regarding the principles of integrating technology in a way that promotes learning without being a distraction. The third section of this course stresses the need to protect students from possible dangers in the online world. It helps to create awareness about the threats existing in the virtual world. SECTION C, Internet Safety is filled with practical ideas and steps that educators can take to ensure safety of the students who have access to the internet whether through classroom technology, at home or via their cell phones. This integrated course helps educators gain an extensive outlook using technology effectively as well as safely. A s teachers, we all face situations where we accommodate students with special needs in our classrooms. In such situations, how can we modulate our teaching to ensure that we reach each and every child? This integrated course, Understanding Special Learning Populations is designed to help teachers encourage and maximize each child’s potential. Terms like Autism, ADHD, learning disability and gifted learners are being constantly used. What is it? What makes these children unique? And most importantly, how as an educator can you enhance their learning ability? These are questions that are answered in this course. 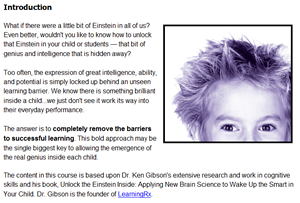 The integrated course has three parts, each one dedicating to a particular special population, namely Introduction to Autism, Understanding ADHD and Differentiation for Gifted learners in the Classroom. The course presents various strategies, adaptations and modifications to the environment and the mode of instruction that help teachers accommodate and teach students with these conditions. 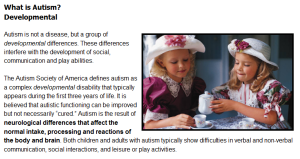 Along with enhancing an educator’s skills, the course is rich and filled with ideas and suggestions that promote your confidence in handling children of differing abilities. 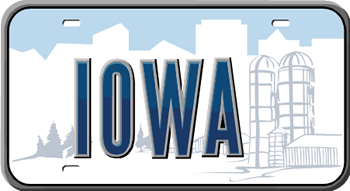 In partnership with ISEA Academy, an approved Iowa licensure renewal program, Professional Learning Board courses for Iowa License Renewal Credits are accepted through the Iowa Board of Education Examiners (BOEE). ISEA Academy accepts the following courses to meet an Iowa License Renewal Credit (LRC). Please be sure to check your district contract. Iowa educators may enroll in the 15 hour self-paced courses listed on this page. Teachers use License Renewal Credit courses to renew a teaching license in Iowa. 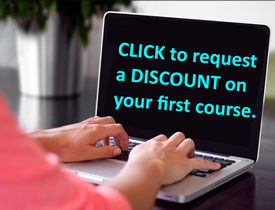 Self-paced courses are seminar replacement courses in which you study the course content and complete a quiz in order to earn a certificate of completion. All PLB courses for Iowa include contact with the instructor and a Course Action Plan. This plan requires the teacher to document application of practices, strategies, and information. The plan is based on an action research model where students read content (research), and then review and plan action based on it. It may also be used as a tool in study groups. See the descriptions to the left.